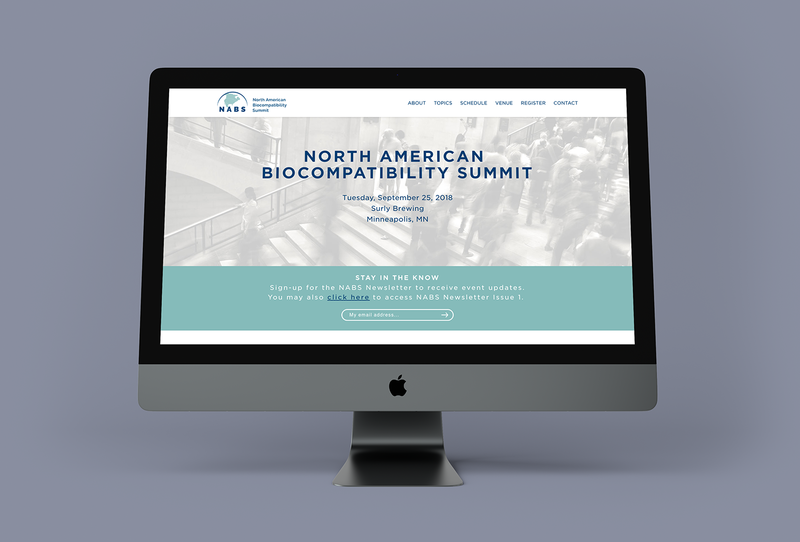 The first ever North American Biocompatibility Summit (NABS) brought medical device research leaders together to share information on regulatory updates and best practices to improve their biocompatibility programs. 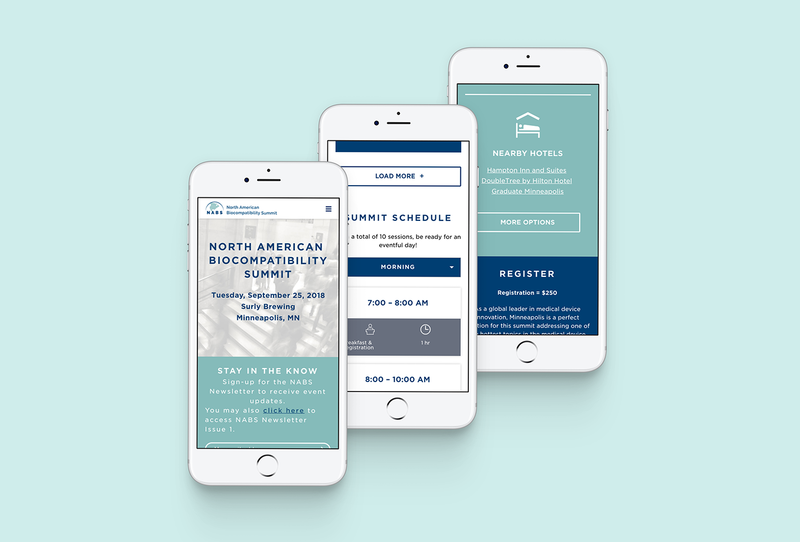 The summit sponsors wanted a one-stop shop website for everything attendees would need to register and prepare for the conference and also guide them through daily events. The site required a well-thought-out user flow with clear calls-to-action to answer visitor questions and facilitate registration. In addition, a cutting-edge design that would attract biocompatibility experts was a must. The two leading medical and clinical research organizations hosting the summit, NAMSA and Pace Analytical, sought a “look and feel” complementary to their branding and also appeal to the thought leaders attending the event. MVP readily implemented the ideas from Pace and NAMSA to guide the design. 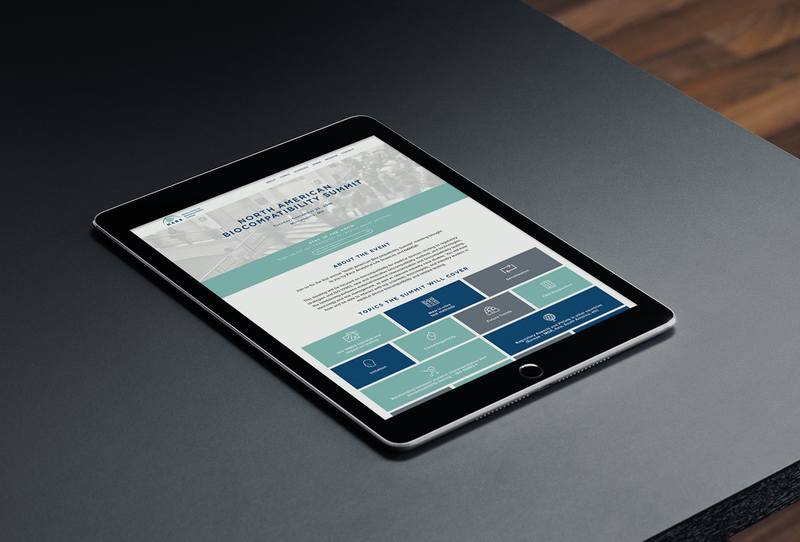 A pale teal, cobalt blue and dark gray color scheme ties the hosts’ logos to the site and gives it a cohesive appearance. Modern fonts, intuitive buttons and customized biocompatibility topic icons amplify visual interest and help attendees survey the information at a glance. 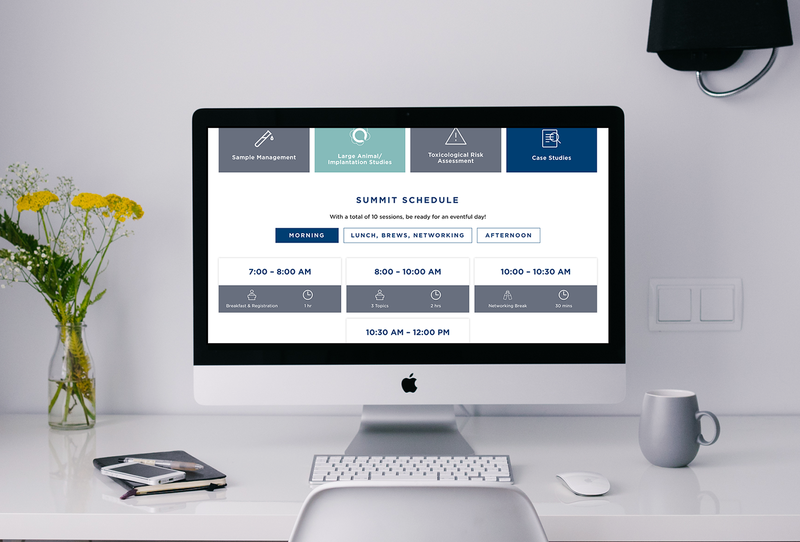 Simple registration, a payment portal, and a visually engaging hub for the Surly Brewing venue and nearby hotels deliver a complete guided attendee experience, ensuring that this first-time event was a success!